Caltrain has resumed normal service after a man was fatally struck on the tracks in Atherton Sunday afternoon, according to Caltrain officials. Authorities responded shortly before 1 p.m. to a report of a person struck by southbound train No. 802 in the Atherton Caltrain station, according to Caltrain officials. 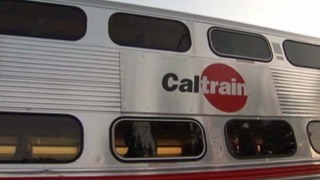 Approximately 1,200 people were onboard the train, which experienced 90-minute delays, Caltrain officials said. At around 1:30 p.m., the northbound track reopened and trains were single tracking in the area. As of around 5:30 p.m., Caltrain officials said the trains had resumed normal service. The death is Caltrain's 11th fatality of the year, officials said. In 2014, 10 people died on Caltrain tracks, officials said.